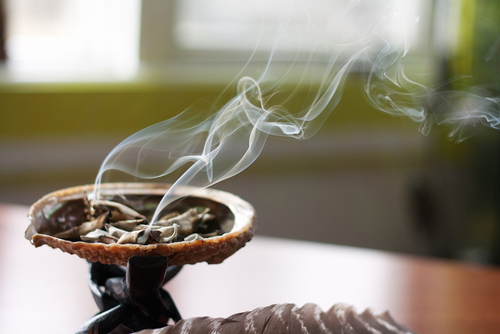 Many Native American cultures have a practice of smudging, or cleansing with smoke. In fact, smoke is used in many spiritual traditions around the world as a vehicle for carrying prayers up to the Divine. You can smudge yourself, another person, or a space. Smudging yourself or someone else can help to clear away negativity, anxiety, heavy thoughts or unwanted energy. This can be helpful after an argument, a bad dream, or a rough day at work. Smudging a space can help to clear the energy of the room, for example after a visitor, as part of a “spring cleaning” to enliven the space, or after moving into a new home or work space. Different cultures have different traditions about which herb, or a blend of herb, to use for smudging. In Central and South America, a Palo Santo wood stick is used for this purpose. The most common herbs used in North American traditions are white sage, sweet grass, tobacco, and cedar. These are also four of the most sacred plants here in North America. They are considered to be gifts from the Creator. As with any cleansing ritual, you will get the most benefit if you are fully present, holding your intention for clearing, and focused on what you are doing. Place the herbs in a clay bowl (one that you can easily hold without it getting too hot). Thank the spirit(s) of the herbs and Creator for their assistance in cleansing. Light the herbs on fire. It doesn’t need to have an open flame for long–just long enough to get a good stream of smoke going. Using your cupped hand or a feather, bring the smoke to your chest to clear your heart first. Next bring the smoke over the top of your head. Take a deep, relaxed breath and let the smoke clear you inside as well as out. Continue to “wash” yourself with the smoke, including both arms, the front of your torso, your legs, the bottoms of your feet, and up your back. If you have long hair, you may want to hold it up to make it easier to smudge the back of your neck. Once you have smudged yourself, you can go on to smudge the space or other people. To clear a space by smudging it, you may want to start by opening a window. This allows any energies you are clearing out of the space a way to leave and helps to freshen the room. Move clockwise around the room, using the feather or your hand to move the smoke into the corners, under and around furniture, inside of cupboards and closets, finishing at the open window. Now you can close the window. If you like, you can put a line of salt along the windowsill to help “seal” the newly cleansed space. As you move through the room, you may also want to give thanks for the space and ask that it be blessed for the use you want it to have. When you are finished smudging, extinguish the smoke by pushing the burning end of the herbs into the bowl. 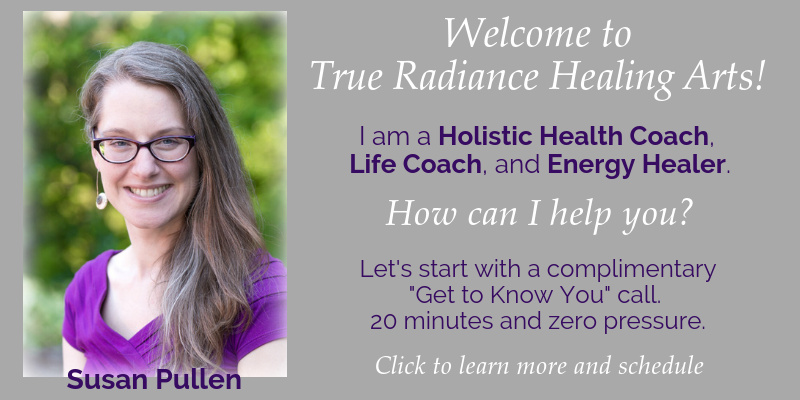 Enter your email address to subscribe to the True Radiance Healing Arts blog and receive notifications of new posts by email.